The powerful, simple-to-use echo 101 has the compact, space-saving design and advanced sonar features you’d expect to find only on much higher-priced units. 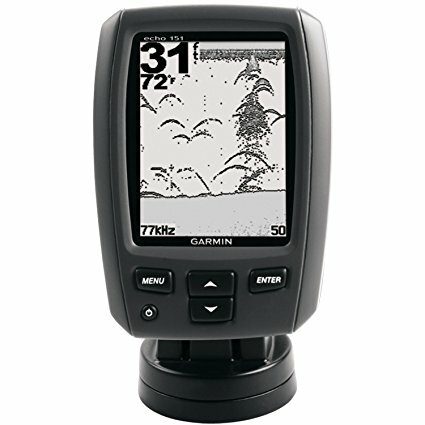 The built-in Garmin advanced HD-ID sonar gives you excellent target separation and fish arch definition on the crisp 4-inch, 256x160 pixel grayscale display. Single-beam (200 kHz) transducer with 1,600 W peak-to-peak power output dives down to a maximum depth of 1,500 feet¹. Its compact, space-saving design makes echo 101 the perfect companion for small craft. Includes a quick-release tilt/swivel mount, transducer and versatile transom and trolling motor mount kit to make installation a snap.